The hips can often become tight due to a number of causes such as; inactivity and injury. Most people will find that their hip flexors are short and weak. Those with desk jobs will find that through long periods of sitting the hips flexors tighten due to passive contraction within this seated position. This leads to negatively affecting posture and athletic performance on the field. Tightness of the hip flexors can lead to further health problems, such as lower back pain. The shortening of the hip flexors pulls on the pelvis causing anterior pelvic tilt, i.e. the pelvis is tipped forwards, tipping the bottom up and creating an arch in the lumbar spine. Increased curvature at the lower back is not natural and so as a consequence it is common to experience pain within this region. 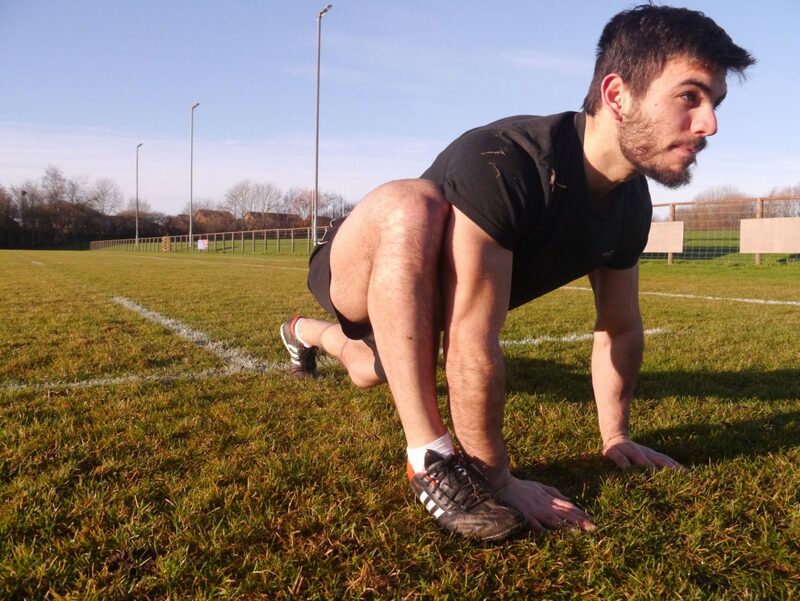 In order to perform optimally and pain-free it is important that our hip flexors are flexible yet strong in order to perform the correct sprinting mechanics or getting into the ‘football position’. One key method to reduce tightness in the hip flexors is to stretch. There are several ways to get into the ‘Pigeon’. You can either take it from a downward-dog, or begin in a low lunge, placing weight through your hands, tuck the ankle in towards the centre of the body. Position the heel so that it is in line with the other hip. Shift your weight central so that it is eventually distributed between both hips. Hands should be placed on either side of your legs. From a press up position take one foot up towards the hand and place it down on the outside. This foot should be flat on the floor. Place the other ankle and knee on the floor behind you. Distribute the weight evenly between both hips and sink your weight down into the stretch. Stand with your feet slightly wider than your hips. 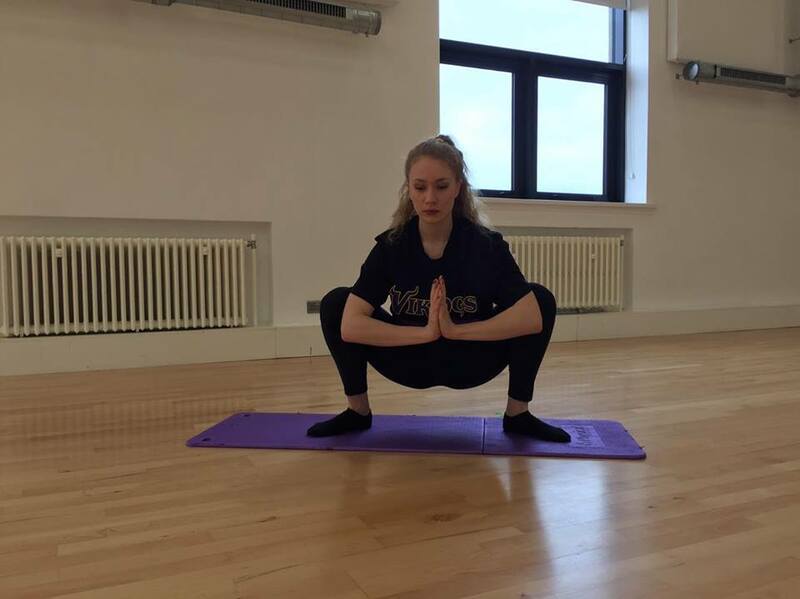 Bend your knees and sink your bottom down towards the ground. Heels should be resting flat on the floor. If this is difficult you can use a rolled towel or a book under the heels as support. Bring your palms together and tuck your elbows into the side of your knees. Begin in a kneeling position with the top of the back foot resting on the floor. Finding your balance, take the back foot with one hand and pull the heel towards your body. Lean into the supporting leg to increase the stretch. If you’re suffering from hip flexor strain then read this to learn about treatment and recovery. Next Post What is Strength and Conditioning?